We Can Custom Make for Wire Grid and Pegboard Too! 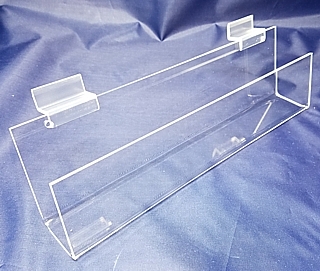 Our Clear Acrylic J Rack Shelves are Durable Thick Units to Hold and Display Your Cards, Merchandise, or Whatever You Need to Have Displayed. 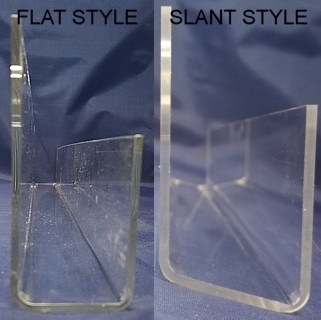 These High Quality Display Rack Shelves All Have Smooth Polished Edges for an Upscale Look. Most Sizes Are Available in Either Wallmount Style or Slatwall Style For Your Convenience. We Can Also Custom Make Your Specific Sise - Just Ask!